Delicious fragrance to stimulate the senses. 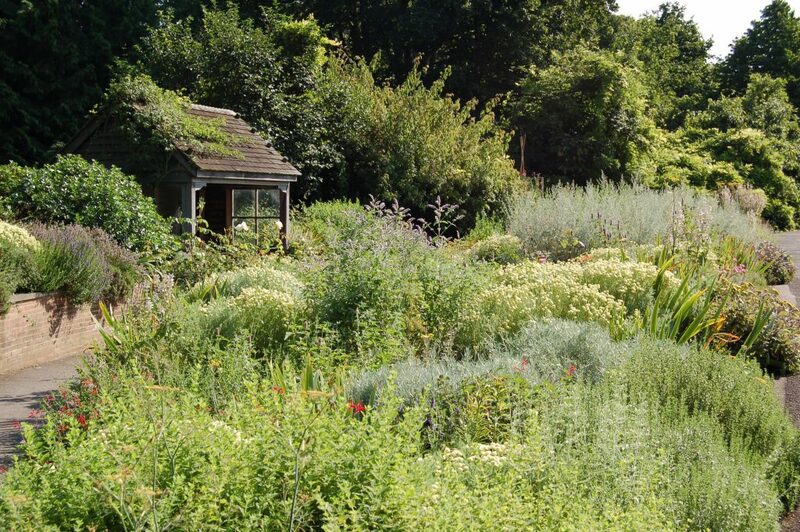 The Scented Garden has been a feature of the Garden since 1960, when it was designed to demonstrate the diverse range of scents and aromas produced by plants. All the plants featured here have either scented flowers to attract pollinators, or fragrant foliage to deter predators. 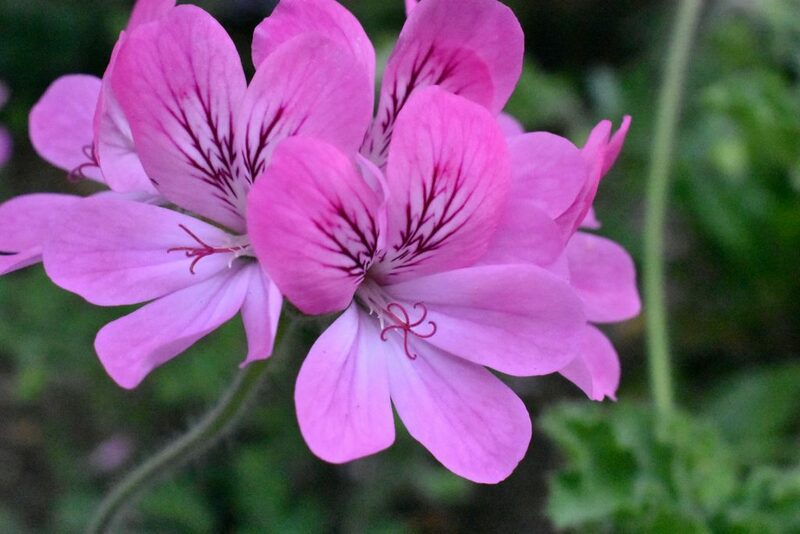 A stroll through the Scented Garden offers the opportunity to pick out the scent of individual species, or to wallow in the heady cocktail of fragrance which fills the air in the height of summer. The Scented Garden was designed in a slight hollow in which to trap scent, and features raised beds to allow visitors to fully appreciate the plantings at close hand. Familiar herbs, including creeping thyme (Thymus serpyllum ‘Coccineus’) and sage (Salvia officinalis) sit amidst mounds of cotton lavender (Santolina pinnata ssp. neapolitana ‘Edward Bowles’). The scented blooms of Dianthus ‘Mrs Sinkins’ and the aromatic leaves of the pineapple sage, Salvia elegans, add further interest. 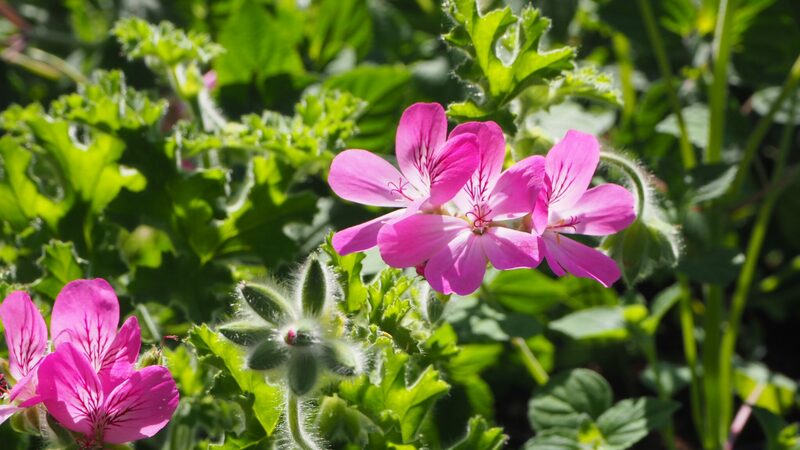 During summer the permanent plantings are complemented by tender perennials, including Pelargonium ‘Pink Capitatum’ , P. tomentosum, Lathyrus ‘Cupani’ and chocolate scented Cosmos atrosanguineus. 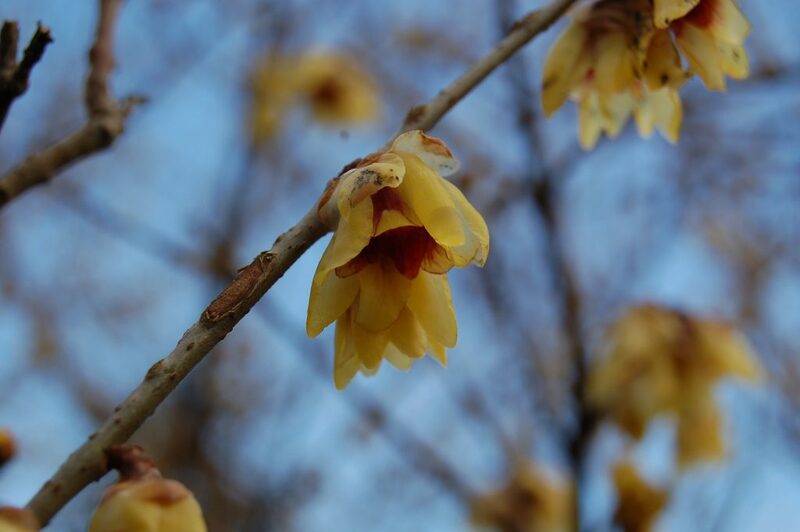 Interest extends into the winter months with shrubby wintersweet, Chimonanthus praecox, and evergreen bay, Laurus nobilis, while wallflowers and bulbous hyacinths create welcome late winter colour and fragrance.